The following are samples of articles I have written for event programs, magazines and Web sites. 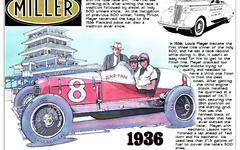 Many come from Indianapolis Motor Speedway programs, the best publications in motor sports - probably in any sport. If you have an interest in me writing for you, please contact me through this site.